Do dancers and singers breathe differently? Performance specialists have thought so for centuries. But what happens when we’re dancing and singing at the same time? Dancing with Voice takes you from theatre to classroom to laboratory to rehearsal with professional performers, actors in training, directors, choreographers and world-class physiotherapists. Joan Melton explores the subject of breath management thoroughly and comes up, not with a method, but with a perspective on performance training. She challenges the compartmentalization still found in most conservatory and university programs, and proposes a more collaborative approach to communication across disciplines. This volume is infinitely readable. It flows like rich conversation and reports for the first time in book form, practical findings from exploratory research studies in the UK (2007 – 08), Australia (2010, 2013), and the US (2015), respectively. Too often performers are conditioned to think they have a "speaking voice" and a "singing voice." Yet, in fact, the voice we use to speak, laugh, cry, shout, scream, yawn, and call out is the same voice we use to sing! 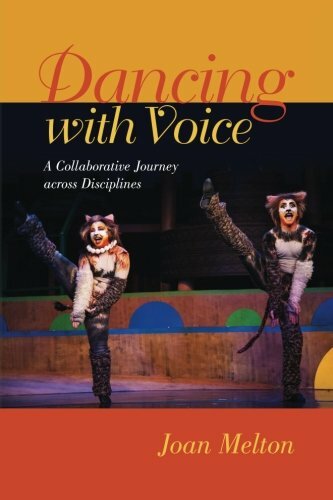 Dr. Joan Melton brings together the contrasting worlds of singing and acting training in an approach that is physically energizing, vocally freeing, and infinitely practical. 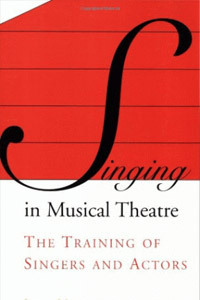 Her groundbreaking book outlines a course of study that effectively integrates singing and theatre voice techniques throughout the training process. The physicality of Melton's approach addresses the concerns of professional voice users in any field, and her detailed work on phrasing applies equally to singing and speaking. The CD accompanying this edition features guidelines and detailed instructions for many of the exercises, including a complete yoga-based sequence with sound. A foreword by leading Australian actor Angela Punch McGregor personalizes the connective links among trainings as she describes her preparation for Sunset Boulevard as a turning point in her own brilliant career. A must read for anyone who is serious about voice and the theatre.